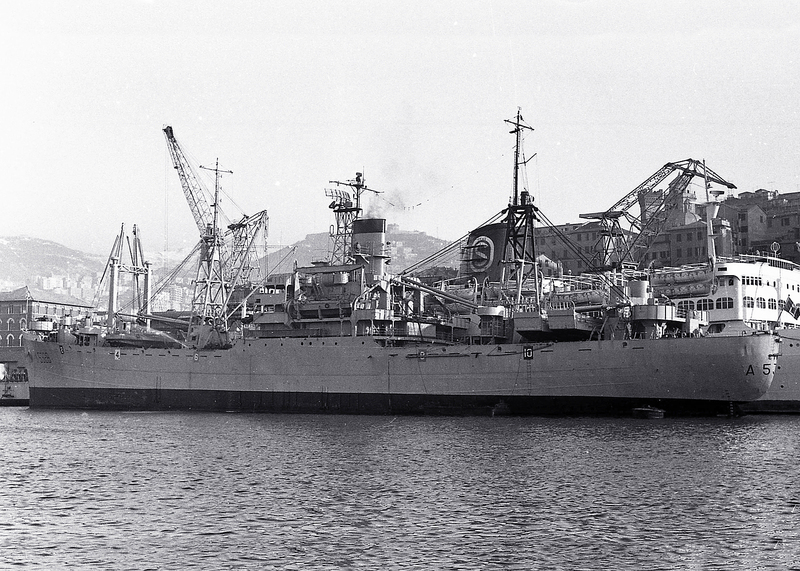 Laid down, 2 May 1944, as a Maritime Commission type (C2-S-B1) hull, under Maritime Commission contract (MC hull 1191), at Moore Drydock Co., Oakland, CA. 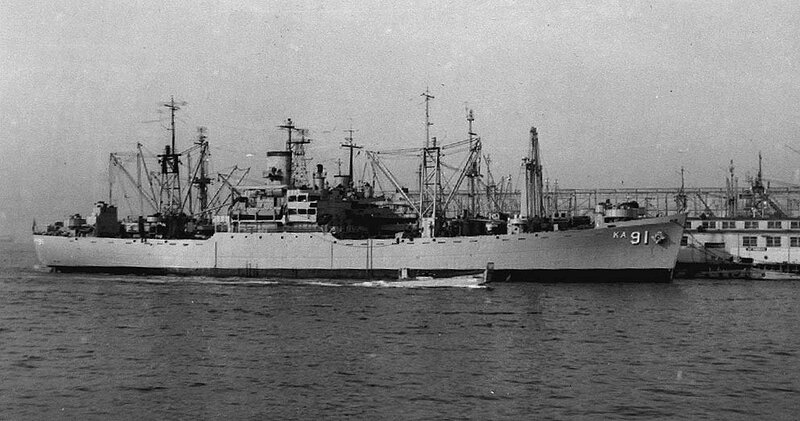 Decommissioned, 16 August 1955, at Charleston, S.C.
75k USS Whitley (AKA-91) underway at Hampton Roads, VA., 11 August 1952. 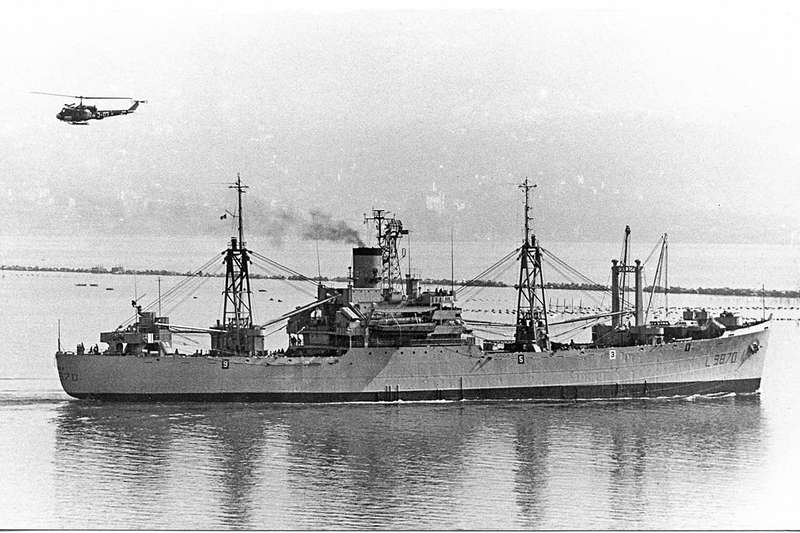 This was one of six later Moore-built units, (AKA 88-93), fitted during construction with lattice radar masts just forward of the stack. 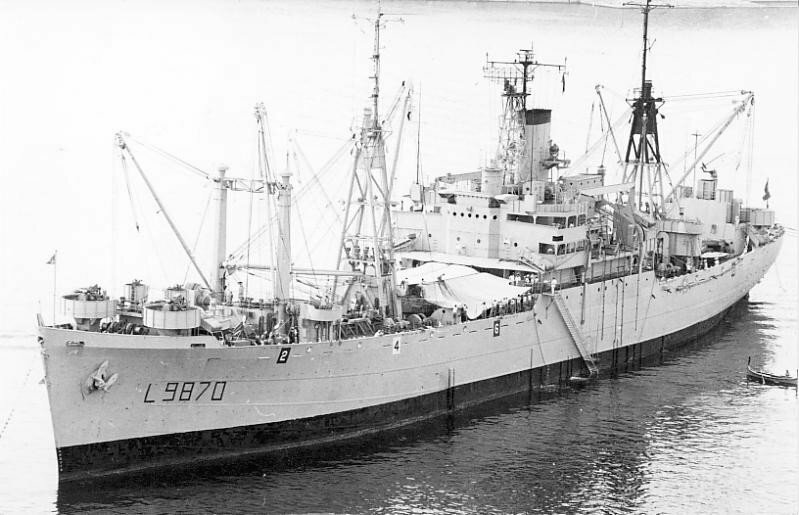 The radar mast also supports a yardarm for signal flag halyards. A small anti-aircraft fire control director is mounted on a stand forward of the radar mast. 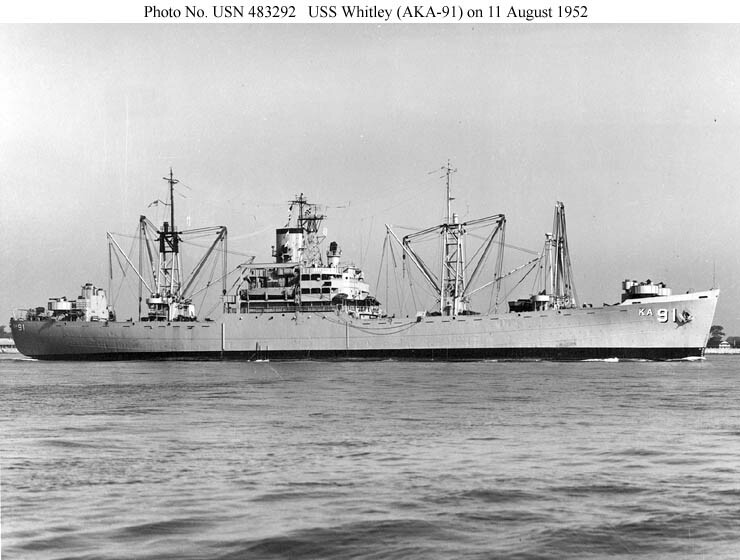 27k USS Whitley (AKA-91) underway, date and location unknown. 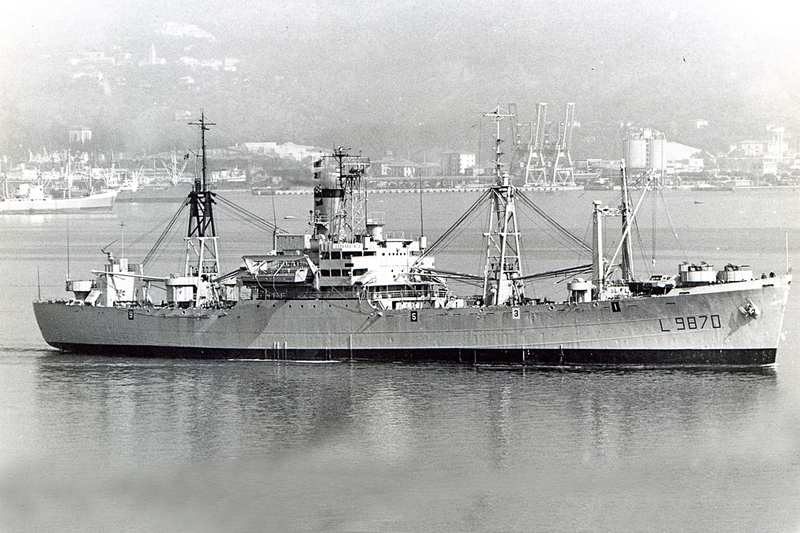 75k ITS Etna (L9870) at anchor, circa 1970, location unknown.